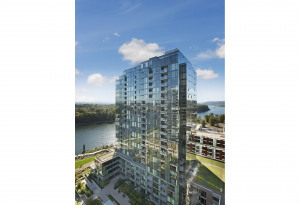 Portland’s South Waterfront is characterized by luxury and beauty. Built on brownfield land, which means land that was previously used for industrial purposes, the South Waterfront stretches along the Willamette River adjacent to the downtown area. One of Portland’s many examples of urban renewal, it is marked by a cluster of high-rises that hold both commercial and residential units. 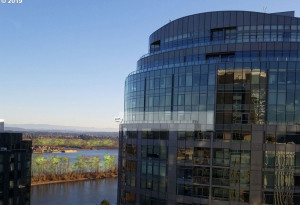 In addition to many gorgeous condos, the area also boasts the Oregon Health and Sciences University Center for Health & Healing and Mirabella Tower, a community devoted entirely to the retired. The area is connected to the rest of Portland via the aerial tram, which heads up to OHSU, as well as the streetcar, and is accessible by car on several roads. As only ten years ago the stop was still almost completely undeveloped, all of the construction is very new. In addition to well-appointed living spaces and commercial suites, the area also offers lovely walking paths along tree-lined streets. 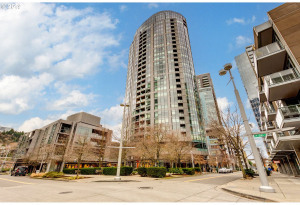 Several ground-floor business establishments give the South Waterfront a real community feel, including a grocery store and delis as well as a bank, dentist and more. The area continues to improve, and people move into it all the time as new apartments and condos open up. If you’re a dog-lover, you will appreciate the neighborhood’s dog park, while commuters will enjoy the relative abundance of free parking for those who know where to look. The periodic appearance of Portland’s mounted police makes the park-like waterfront area even more charming. 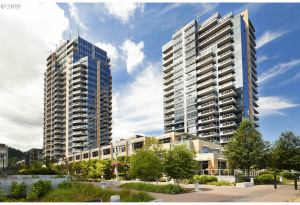 Portland’s South Waterfront is characterized by luxury and beauty.